During his four years as archbishop of Indianapolis, Cardinal Joseph W. Tobin made reducing the effects of poverty in Indiana a priority. That emphasis was set forth in “Poverty at the Crossroads: The Church’s Response to Poverty in Indiana,” a pastoral letter that was signed in 2015 by the five Catholic bishops in the state: Archbishop Tobin, Lafayette Bishop Timothy L. Doherty, Gary Bishop Donald J. Hying, Fort Wayne-South Bend Bishop Kevin C. Rhoades and Evansville Bishop Charles C. Thompson. The pastoral letter also invited and challenged Indiana residents to make the needs of the poor a priority, and to take action to reduce the effects of poverty. “Using the simple formula of SEE, JUDGE, ACT, we invite and challenge everyone, beginning with ourselves, to be more attentive to the poor in our communities, to identify the systemic issues that keep individuals and families poor, and to take concrete steps to reduce the long-term impact of poverty in our state, even as we reach out and help those who, here and now, suffer from its devastating effects,” the bishops wrote. A record 1,015,127 Indiana residents are living in poverty (at or below 100 percent of the federal poverty level), according to The Status of Working Families in Indiana, 2015 Report by the Indiana Institute for Working Families. In one of a series of weekly columns in The Criterion in 2015 about this issue, Cardinal Tobin noted that the pastoral letter “contains no simple answers or magic formulas for eliminating poverty.” Still, he said, steps can be made to reduce the impact of poverty on people’s lives. 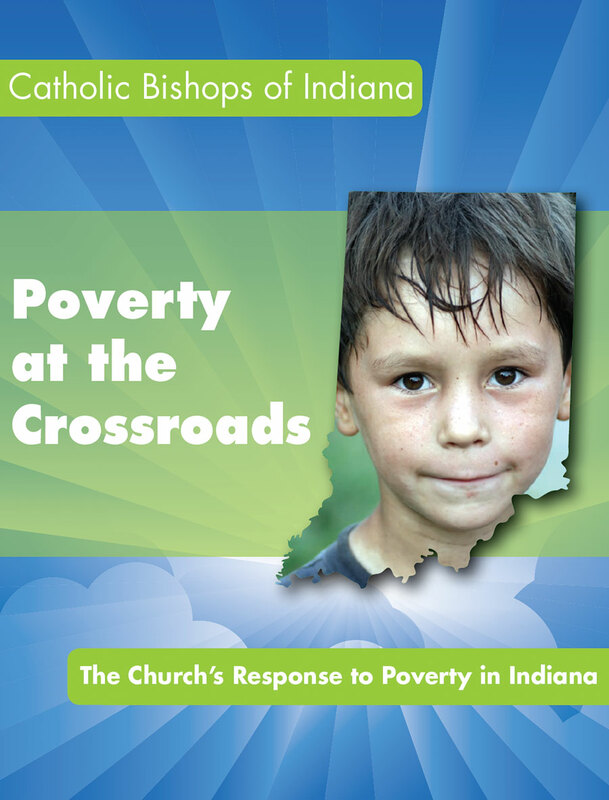 In March of 2016, the archdiocese hosted a poverty summit in Indianapolis, inviting about 60 central Indiana business leaders to discuss concrete ways to help people out of poverty. After the summit, Archbishop Tobin praised the contributions of all the leaders from business, education and health care who attended. He viewed the summit as another positive step in addressing the challenge of poverty in Indiana.